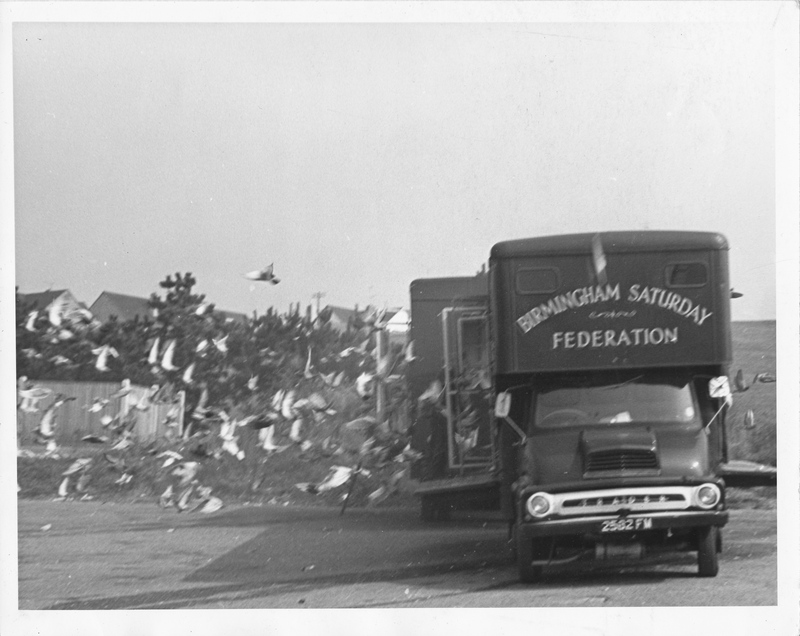 The Birmingham Pigeon Archive is an archive about the history and culture of pigeon fancying in Birmingham which has been produced by Project Pigeon and 15 volunteers with financial support from the Heritage Lottery Fund. It contains over 30 oral history interviews, 10 videos and memorabilia from pigeon fanciers. A book and series of radio plays which are based on the archive have been produced and the archive will continue to be the inspiration for other work. The archive will be housed at Birmingham Library from mid 2013 and at Project Pigeon’s site in Digbeth Birmingham. Pigeon fancying is a fascinating part of the West Midlands’ social history and still today Birmingham has more pigeon fanciers than any other UK city. Birmingham has local claims to international fame such as the breeding of the performance flying pigeon the Birmingham Roller and the development of pigeon racing charts the development of the Industrial Revolution in the region. The archive not only gives insight into pigeons but into many areas of Birmingham life. For example, it explores the development of the railways- pigeons used to be transported for training and racing by train; into the development of council housing and the rules and regulations about keeping pigeons; into pubs and working mens clubs- where pigeons clubs meet; into employment- several people we have interviewed have made a career in pigeons; and into family life where several generations have kept pigeons.